Does your child love to play with paper dolls? If so, you will want to check out this unique product called Lotty Dotty clothing, which combines children’s love for dolls and dress up in clothing that little girls can wear. I recently had the chance to review a Lotty Dotty t-shirt with my own daughter, and I am excited to share my findings with you below. 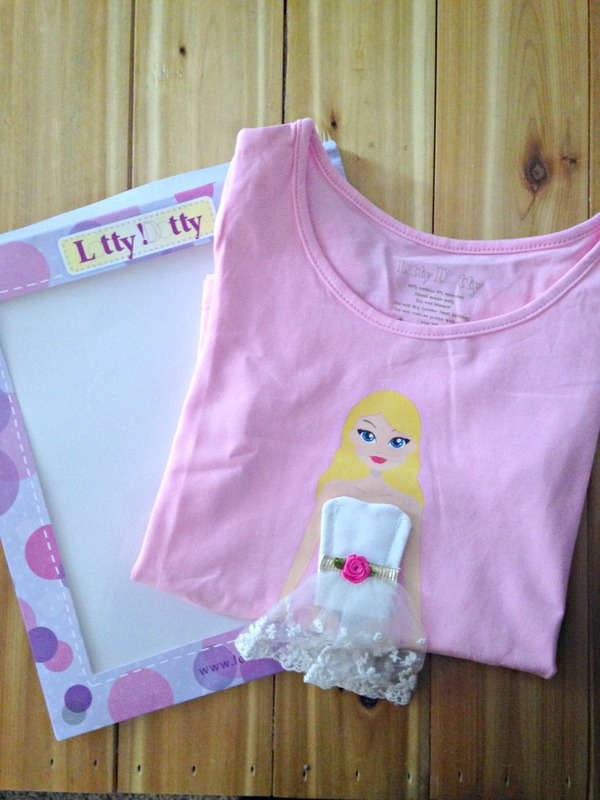 Lotty Dotty makes a variety of t-shirts than feature a basic doll on the front. Each doll is approximately the size of an actual Barbie or similar plastic doll, and features a Velcro front. The reason for the Velcro front is so that you can attach your own dress up outfit to the doll, and switch it as often as you wish. It is like a doll that you can wear. Our sample shirt was made of soft cotton, stretched nicely, and ran a little large for size. It is made of thick, quality fabric and wears well. The clothing for the doll is quite detailed, as you can see. Made from lace and other embellishments, it truly is like a piece of doll clothing. With a simple pull, the outfit can be removed and replaced. The Velcro seemed to hold up well, and seems to be good to go for many pulls and changes. 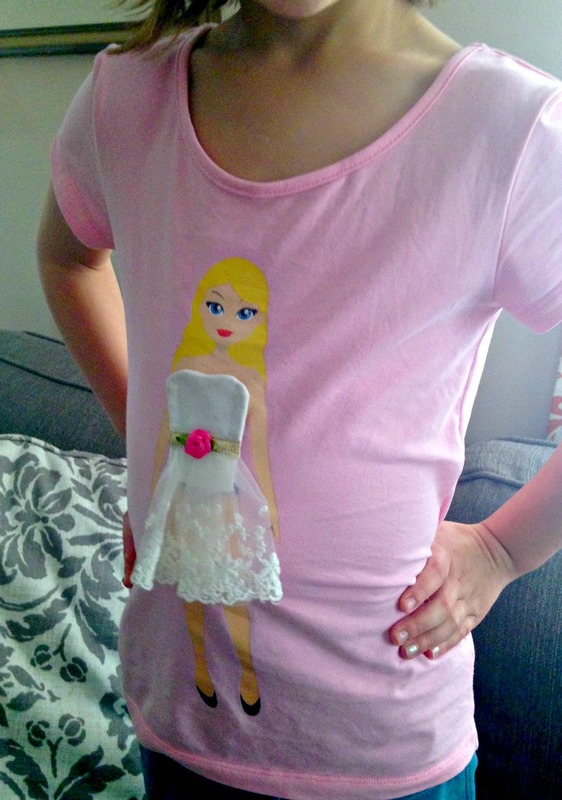 My daughter was instantly intrigued by the unique concept of Lotty Dotty Doll t-shirts. She was fascinated by the idea of a dress up doll that she could wear. She of course was a little obsessed with pulling the dress off at first, and I was worried about the neck of the shirt stretching, but it held up well. I was also pleased to find that the shirt washed well. I washed it on a more gentle cycle and hung it to dry instead of subjecting it to the dryer, and that seemed to help it stay looking like new. Lotty Dotty Doll t-shirts an other items in this unique concept clothing line can be found at online at their website. The t-shirt we sampled retails for $20 and mini outfits start at $7 each. As you can imagine these sets would make an ideal gift for the holiday season. 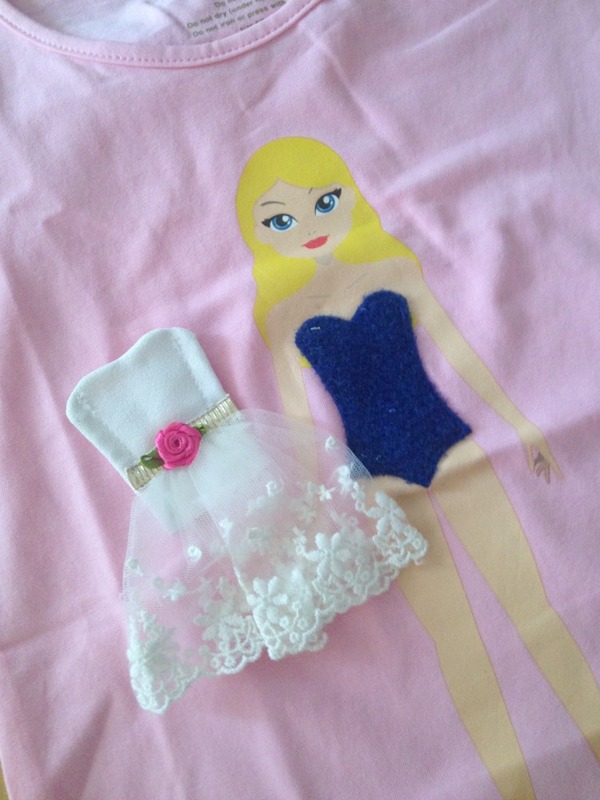 If you want to combine your child’s love for dolls, dress up, and fashion into one cool gift, Lottie Dotty shirts and clothing such as the one we sampled here would be a great choice. It is sure to intrigue your child just as it did mine! Items were provided for review. These are very cute and very different. If a person were crafty, even more outfits could be made for the ‘doll’ on the Tshirt. It could even be seasonal!